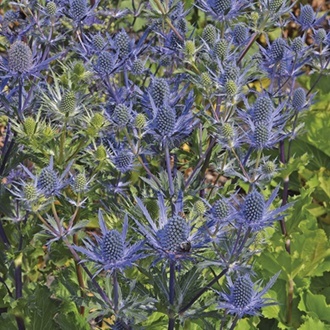 A new variety producing large clusters of steely blue, dome-shaped and thistle-like blooms during summer. 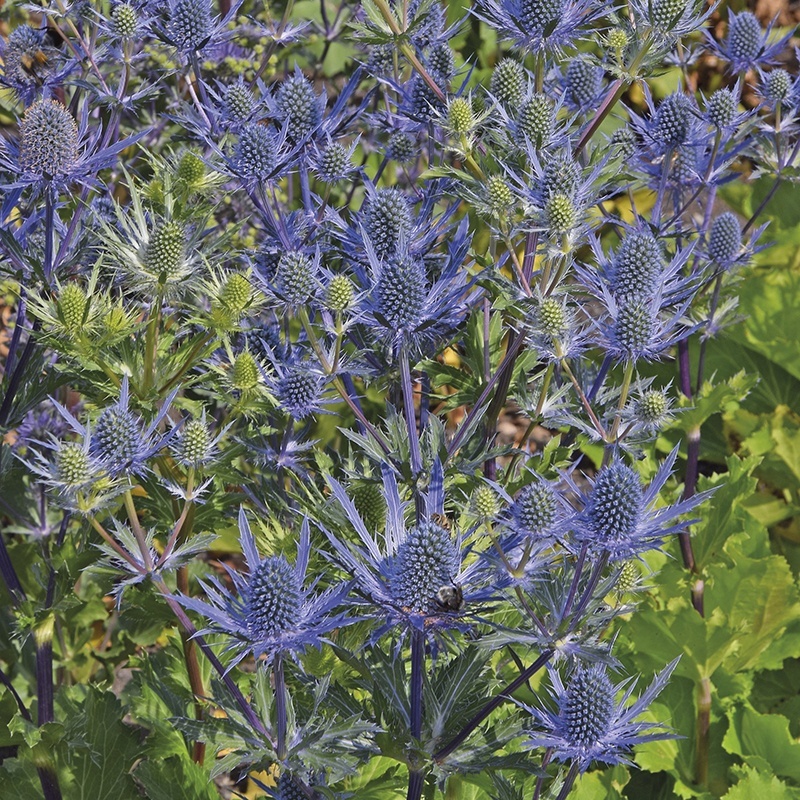 Very prolific and hugely attractive to bees and butterflies. 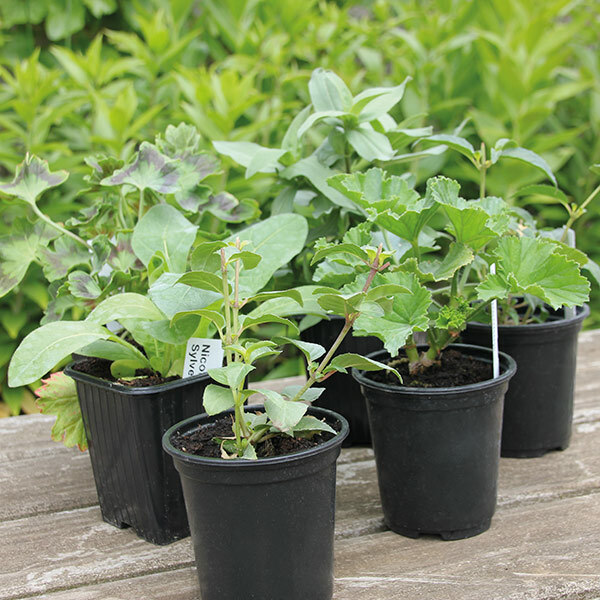 Plant in full sun in moisture retentive soil.